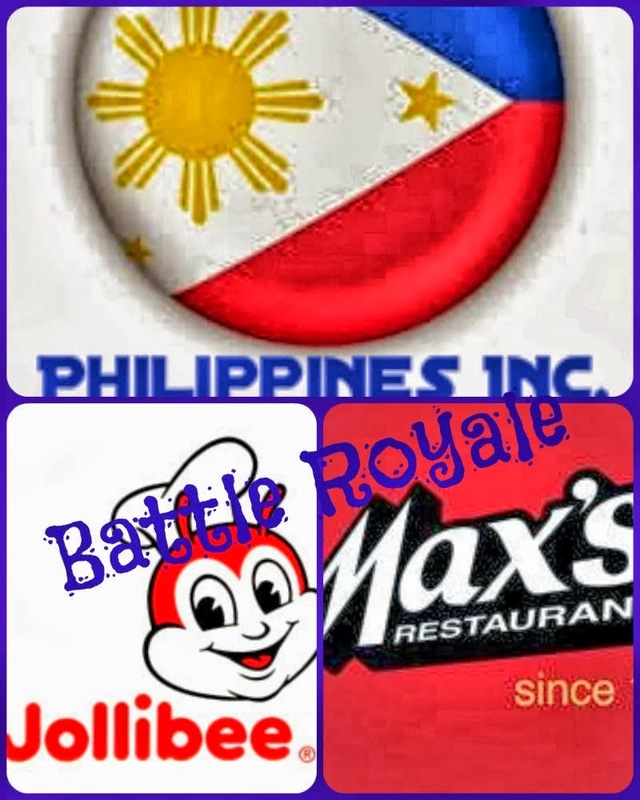 The EQualizer Post: Max versus Jollibee:Who will win the Fast Foods War? Max versus Jollibee:Who will win the Fast Foods War? 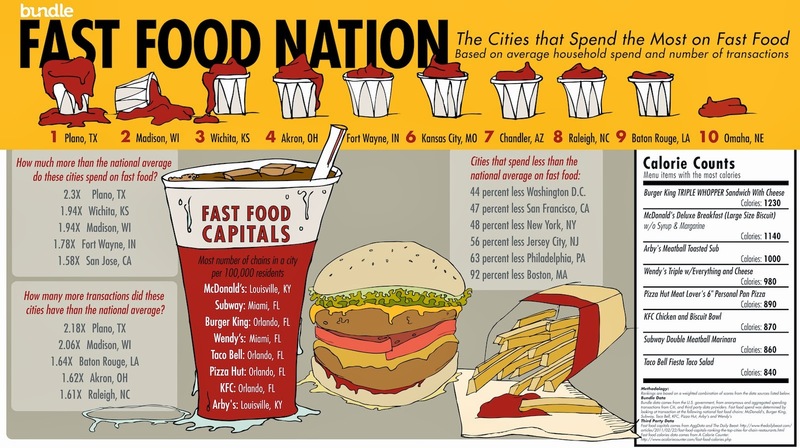 "New restaurants and fast food establishments are created every year. Historically, restaurant stocks have been some of the biggest earners of all time. Shoney's rose 168 times. McDonald's price multiplied by 400. Kentucky Fried Chicken rose 27 times its initial offering price. The investor who missed the restaurants of the 1960s didn't have to worry. In the 1970s he could have done very well investing in Dairy Queen, Wendy's, Luby's, Taco Bell, Pizza Hut, and Long John Silver. In the 1980s, Cracker Barrel, Chili's, Sbarro, and Chi-Chi's were excellent restaurant opportunities. JFC Group: Jollibee, Chowking, Greenwich Pizza, Red Ribbon, Mang Inasal and Burger King Philippines. 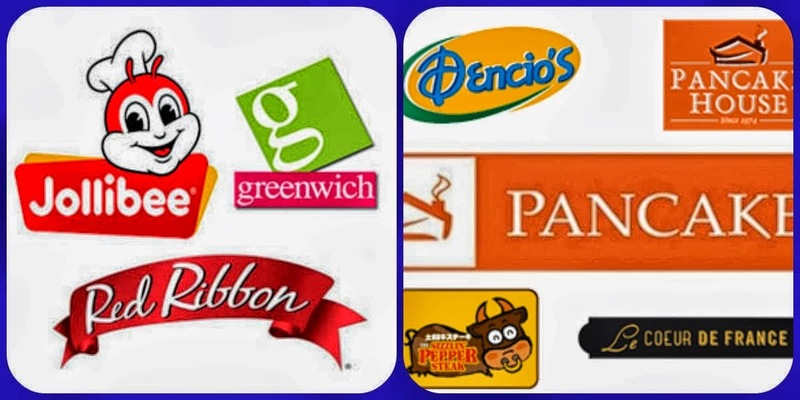 Max's Group :Max's Fried Chicken, Philippine licensee for Krispy Kreme and Jamba Juice, Pancake House, Dencio’s, Kabisera ng Dencio’s, Teriyaki Boy, Sizzlin’ Pepper Steak, Le Coeur De France, The Chicken Rice Shop, Maple and Yellow Cab. 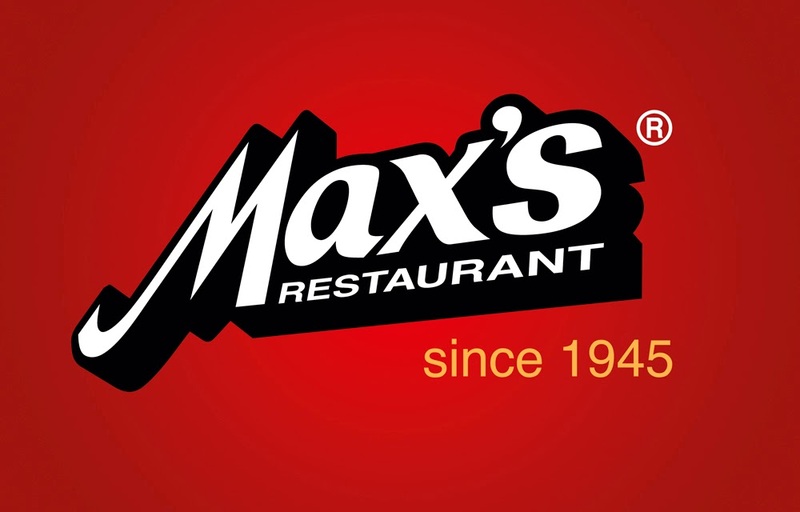 MANILA, Philippines—The Max’s restaurant group has completed its acquisition of a controlling stake in Pancake House. After a tender offer to minority shareholders, Max’s ended with 89.95 percent control of Pancake House, leaving enough public float to comply with the minimum public ownership of 10 percent required to remain listed on the Philippine Stock Exchange. As the buyout deal offered by the Max’s group valued all of Pancake House at P3.9 billion, its acquisition of 89.95 percent of the restaurant chain cost an estimated P3.5 billion. In a disclosure to the Philippine Stock Exchange on Tuesday, the Max’s group completed a tender offer for publicly held shares in Pancake House, resulting in the purchase of all 39.98 million shares that were tendered by the public shareholders. At the same time, the Max’s group also completed an acquisition of 193.18 million shares from the Lorenzo group, the former controlling shareholder of Pancake House. The tender offer was in compliance with corporate regulations after the Max’s Group struck a deal to buy 76.7 percent of Pancake House at P15 per share. Minority shareholders were given the option to sell at the same price. “The Max’s group is extremely excited about having completed another milestone in the Philippine restaurant industry,” Robert Trota, the new chair of Pancake House, said in a press statement. The Jollibee Group is the acknowledged leader in the fast foods business in the Philippines.The Max's restaurant group could pose a very serious challenge to Jollibee's market supremacy with Max's P3.9 billion pesos acquisition of the Pancake House Group. MANILA—The Max’s restaurant group has launched a tender offer to minority shareholders of casual dining chain Pancake House who may want to exit on the same terms as the controlling Lorenzo family. The buyout deal by the Max’s group values 100 percent of Pancake House at P3.9 billion. This consolidation also creates one of the country’s largest restaurant chains. Founded in 1974, Pancake House has 105 outlets of flagship brand Pancake House for a total of 300 other outlets across other brands like Dencio’s, Kabisera ng Dencio’s, Teriyaki Boy, Sizzlin’ Pepper Steak, Le Coeur De France, The Chicken Rice Shop, Maple and Yellow Cab. In addition to the quick serve down the street, there’s also the local grocery store, gas station, and even vending machine. But too narrow of a frame of reference can be a dangerous perspective for business leaders. It can lead you to think you’re doing OK and make you vulnerable to attacks from new or unexpected competitors. History books are littered with examples of companies that were toppled by competitive myopia. Back in the ’90s, coffee brands like Folgers and Maxwell House were so wrapped up in competing with each other on product attributes like flavor crystals and on price promotions that they were completely blindsided when Starbucks arrived on the scene. While traditional coffee companies battled over grocery shelf space and penny margins, Starbucks took the market by storm, declaring it’s not about the coffee, it’s about the coffee experience—a gathering place, new ways to enjoy coffee, a lifestyle. More recently, video rental chain Blockbuster got its clock cleaned by online player Netflix in part because it failed to put forth an offering that could compete with Netflix’s innovative delivery models. Blockbuster had once been the king of retail video—only a short decade ago, it had put many local video stores out of business with its superior selection and convenient locations. But against disruptive innovation in the industry, its competitive advantage vanished. That’s why looking beyond your nearby competitors is important for quick serves. Comparing yourself only to other similar quick serves can lull you into a false sense of security. Your smoothies may be the best tasting in town, but are they as convenient as the vending machines now found in health clubs? Your sandwich shop may have been voted the neighborhood favorite, but how does it compare to the gourmet grocery store that features an olive bar next to its deli counter? Your tacos may be priced lower than others, but do your customers really think they’re a better value than the new and improved ones offered at convenience stores? Today people have so many options for quick meals and snacks. With the economy on the mend, new quick serves are opening at a healthy clip. Between more locations of existing brands and new concepts from veteran quick-serve companies looking to diversify, new competition within the category is on the rise. But there are drugstores and convenience stores making headlines, too, by adding fresh food offerings and more grab-and-go meal options. They’re being praised for offering affordable healthy alternatives in “food deserts” where fast feeders have historically been the only options. And as grocery stores face increasing pressure from superstores like Walmart and Target, they’re turning to foodservice as traffic and profit generators. Whole Foods has been taking its popular service counters to the next level by opening Osteria fast-casual restaurants inside select retail locations. Mainstream grocers are following suit, expanding their no-cook meal offerings. All of these developments represent potential competitive threats to quick serves and need to be taken seriously. Competing with these options requires you to rethink every aspect of your business. Think about the dramatic displays and cooking demonstrations at Whole Foods. How can you introduce an element of theater in your restaurants? Think about the convenience offered by drugstores. How can you bundle items (your freshly baked goods and a name-brand yogurt, for example) to one-up their convenience? Think about the bulk offerings and food bar options at your local grocery store. How can you make it easy to buy for one person and a whole family at the same time? Think about the speed of a vending machine. How can you use technology and self-serve options to make the experience at your restaurant as simple and quick? Above all else, think about what business you’re really in. Business guru Theodore Levitt once wrote a groundbreaking paper about the decline of the railroad industry in the middle of last century. He explained that the railroads failed to grow because of their narrow view of the competition. They assumed they were in the railroad business rather than the transportation business. So as new modes of transportation like airlines and trucking were developed, the railroad people tried to improve their railroads—building faster engines, more routes, and so on—but their business kept declining to the point where they would have gone completely out of business had the government not intervened. Those in the railroad industry were product-oriented instead of customer-oriented. They had banked on their ability to compete by simply improving their existing products instead of understanding their customers’ needs and desires and innovating new ways to meet them.